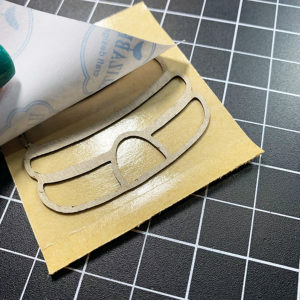 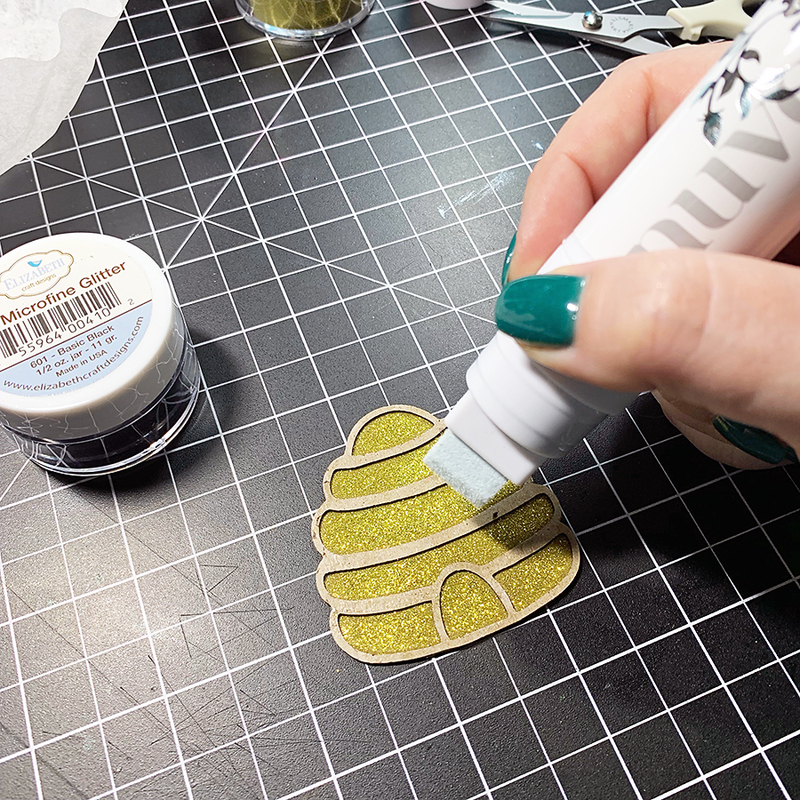 I have been looking for this specific finish of white cardstock for years – even throughout my quilling phase – so imagine my delight when I opened the *full-size* stack of paper in the kit. 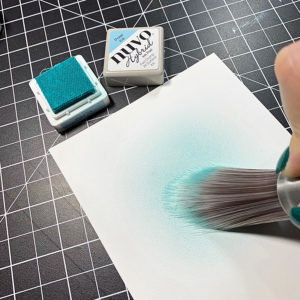 It has a soft to the touch, eggshell-type texture to it. 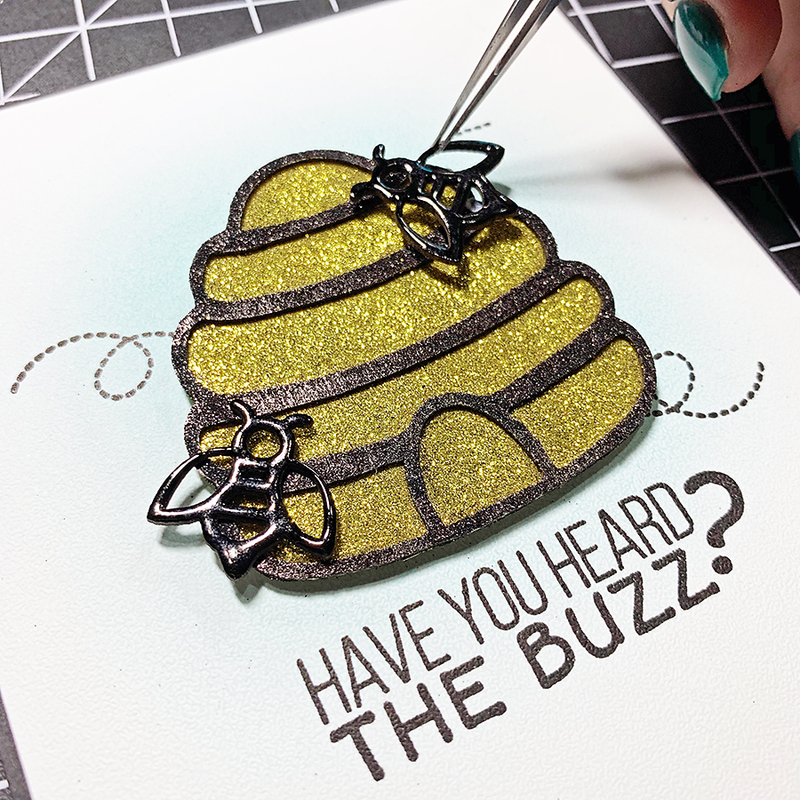 I trimmed a piece to 5.25” x 4” and got out my ink and brushes right away! To adhere the black glitter, I used a large Nuvo glue pen to saturate the chipboard well and sprinkled the glitter (over a big coffee filter to catch the excess, of course) while the glue was still wet. With all the glittering done, the next step was to start building up the design. 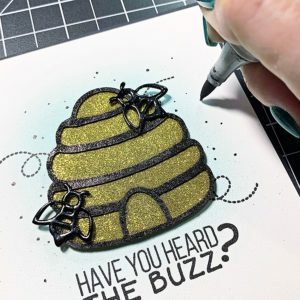 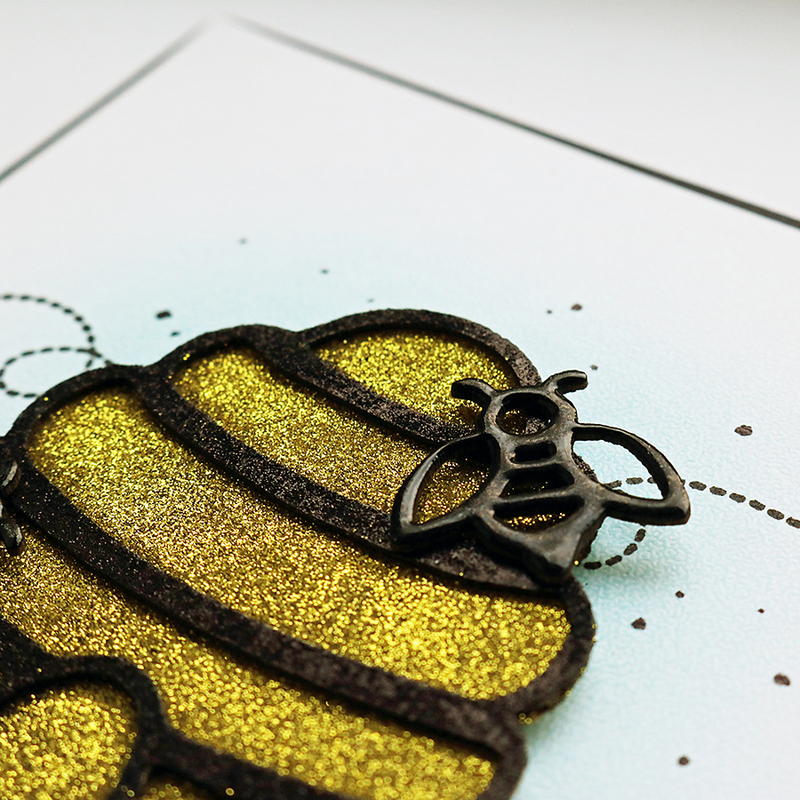 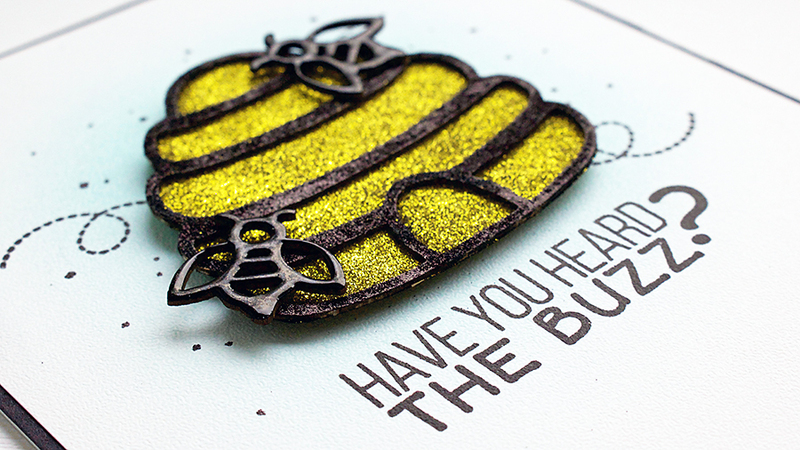 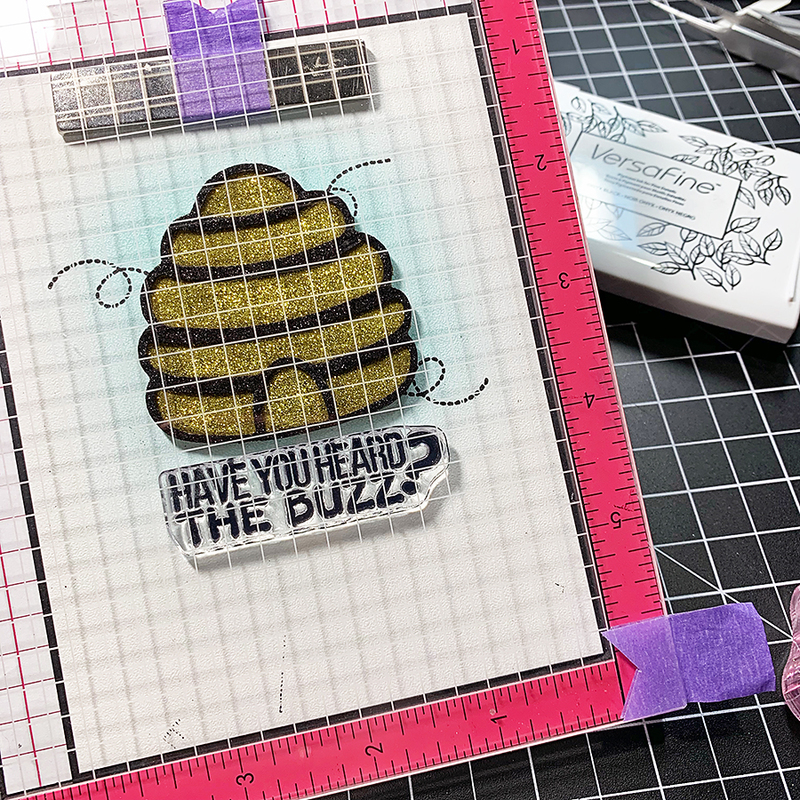 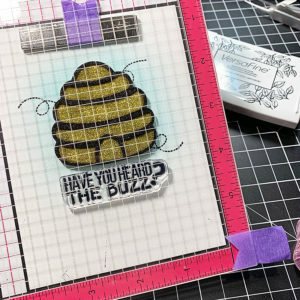 I stamped a few “bee trails” around where my chipboard was going to be, then attached the beehive to my card front, right in the middle of the blended blue area with some foam squares. They were the thin kind so that I could stamp the sentiment with the beehive in place.